This chart takes the milestones of the average American life — everything from becoming eligible for a driver's license to getting (and leaving) a first job — and plots them all out into weeks. The chart was put together by WaitButWhy, using data from, among other places, Gallup, Pew, and the census. 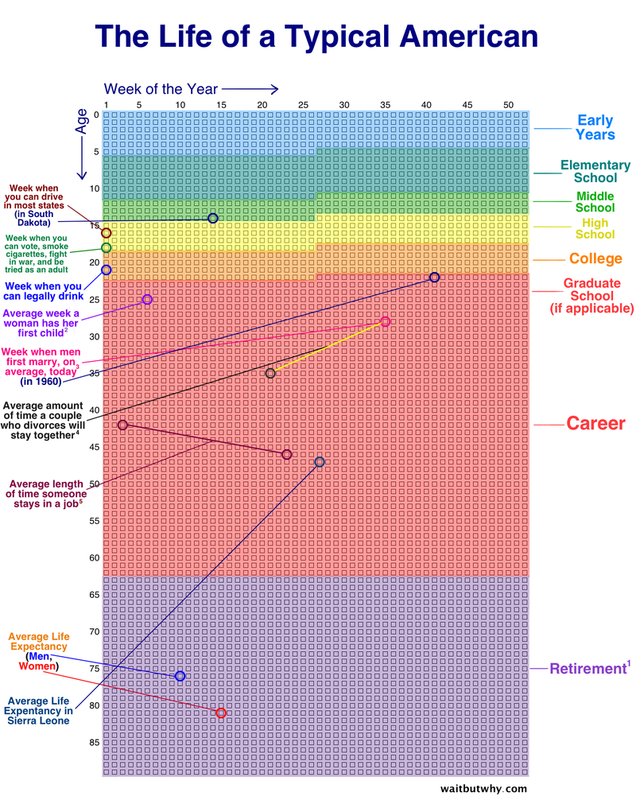 Looked at in weeks, the average lifespan seems incredibly short and fast — but there's also still plenty of time for extraordinary things to be done, as seen in this companion chart, which plots out some of both Einstein's and Newton's early achievements.